It’s no mystery why hikers in the midst of a grueling long-distance journey love trail magic. Whether you’re having a great day or feeling ground down, hot, cold, tired, or sore, an unexpected treat or random act of kindness by a stranger — food, a ride to town, sage advice, a clean privy — can provide an instant jolt of joy and gratitude. –The warm-fuzzy feeling of bringing joy to tired hikers, aka the “helper’s high,” which has been demonstrated by science. –Soaking up hiker vibes and stories (and politely ignoring the funk), especially for those who cannot undertake a long hike of their own. 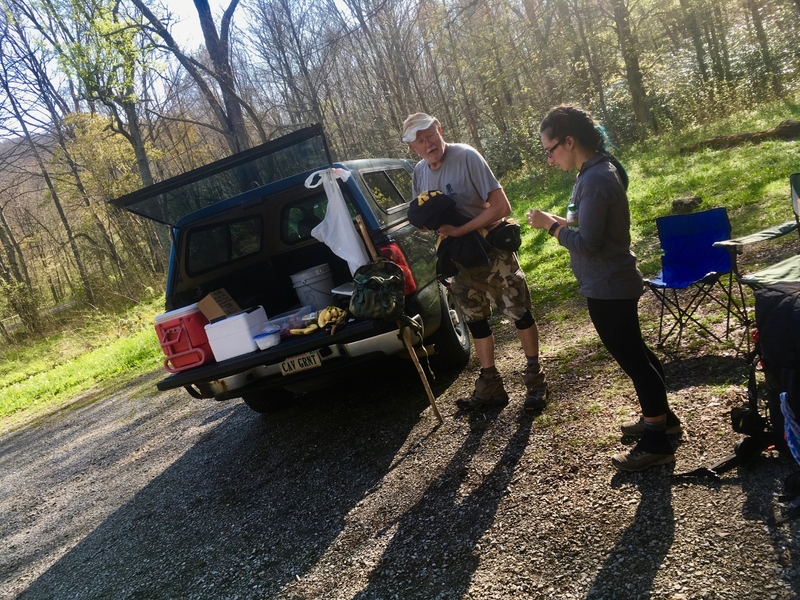 –The knowledge that they are “paying it forward” and “being the change” when they tidy up a privy, pick up micro-trash, or move branches off the trail. So, everyone loves magic, right? Well, not quite. In recent years, this venerable tradition on long trails has come under fire from critics who say it’s ruining the experience and even harming the trail, especially on the AT. There are some legitimate concerns, to be sure, but I think the problem has been overblown. You can do magic — you just have to do it right. 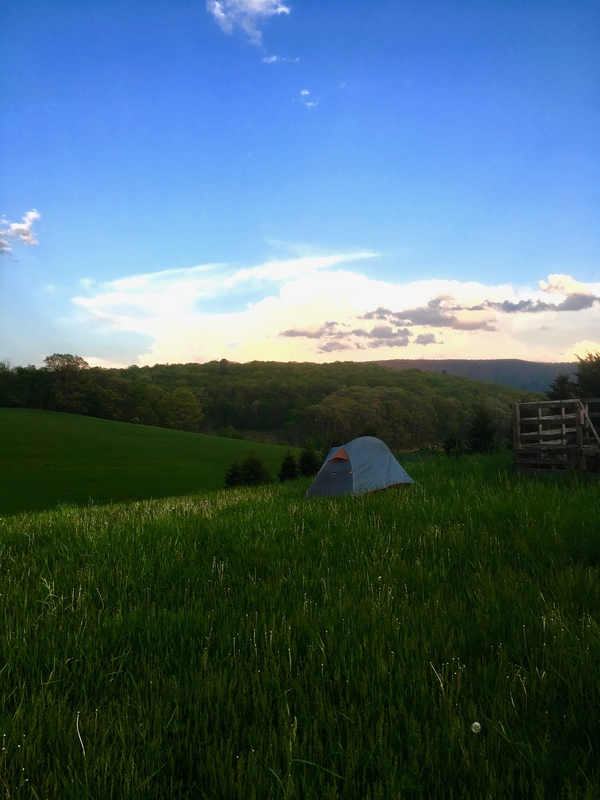 A hiker’s tent in a field near Newport, Va. Photo: Clay Bonnyman Evans. 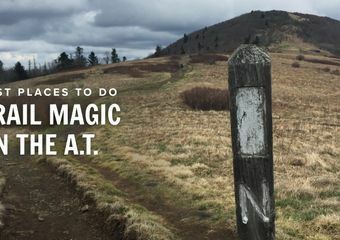 Still, as a hiker who has both given and received trail magic, on the Appalachian and Colorado trails, I find the current wave of anti-magic sentiment a tad… overwrought. In my thousands of miles of long-distance hiking, I have never met a hiker who seriously altered her plans to take advantage of rumored magic; magic is not as ubiquitous as some critics claim — on the AT I experienced no magic at all for more than 700 miles between Grayson Highlands, Va., and New York; I never expected magic — it was always serendipitous — but I always appreciated it; and the trail was plenty hard, and plenty wild, with or without magic. There’s no question that if done improperly, some forms of trail magic can cause problems. Untended coolers tucked along the trail inevitably attract animals, from hornets to raccoons and bears, which may end up euthanized because they’ve become habituated to humans and human food. And distressingly often, trash from well-intentioned trail magic coolers ends up strewn along the trail. 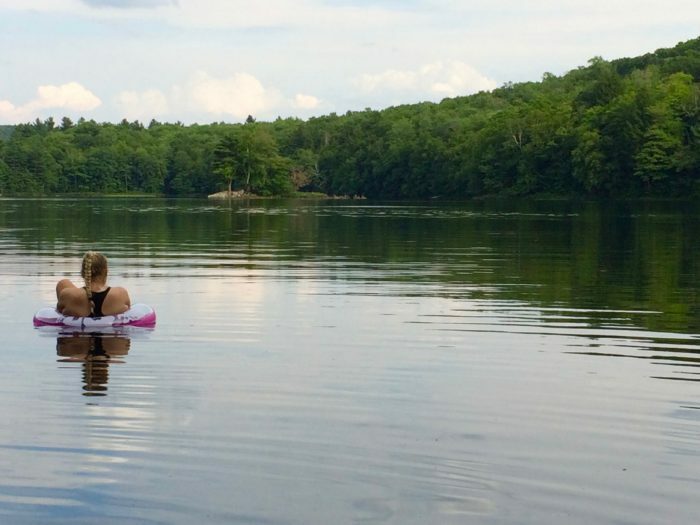 AT hiker Bearbait relaxes at Upper Goose Pond in Massachusetts. Photo: Clay Bonnyman Evans. I’ve also played angel on a few occasions, helping hikers at Partnership Shelter in Virginia, and Kenosha Pass and Durango in Colorado. I’ve given rides to hikers, provided a charging station, snacks and drinks, collected trash, swept shelter floors, and spruced up a privy. And I’ve spent even more time doing less obvious forms of magic, including volunteering with the ATC’s Konnarock Trail Crew, “knocking down” the poop pile at a privy in New Hampshire (it needed to be done, and wasn’t as revolting as I imagined), answering hiker questions from my perch in the “synthetic world,” dispensing and applying yards of Leukotape to pitiful hiker feet (someone tried to give me the trail names “Doc” and “Nursie”), cleaning the bunkhouse or bathroom at hostels, and more. 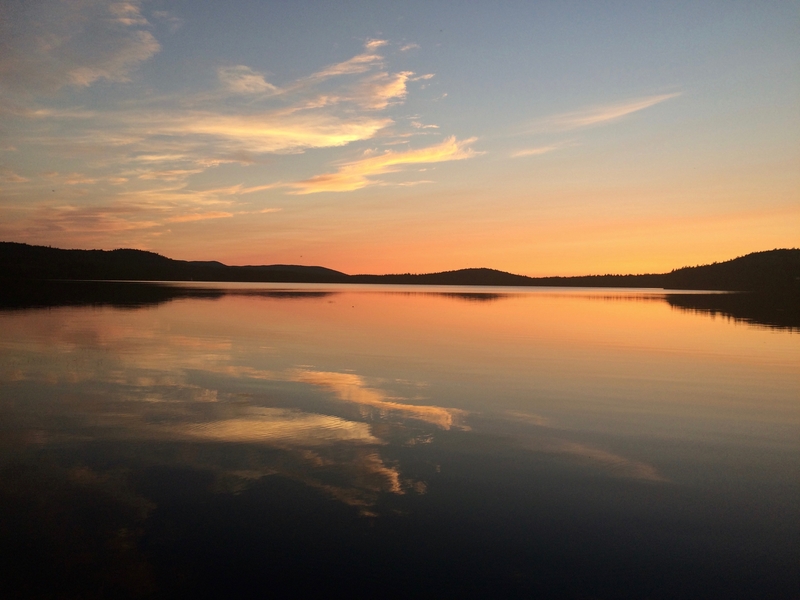 Sunset on Long Pond in Maine. Photo: Clay Bonnyman Evans. There are countless ways to do magic; you just have to do it right. Rather than scolding angels, conjuring up problems that strain credulity, and placing too much blame on long-distance hikers (who make up less than 1 percent of all AT users each year) those who want to protect the trail might do better to celebrate and promote magic in its nearly limitless incarnations while seeking to cultivate a spirit of giving and gratitude on the trail. –Expand your definition of magic beyond chow and rides. –Planning a hiker feed? Cool, but please follow Leave No Trace principles. The ATC offers guidelines for a successful, low-impact event. –Like most hikers, I always appreciated coming across a cache of goodies in the woods. But to protect the trail and wildlife, do not leave unattended coolers full of food or drinks. Save your much-appreciated generosity until you have time to enjoy your reward by hanging out with the people you are helping. –Be willing to do whatever needs to be done, whenever and wherever you see it, even while hiking. Spontaneously clean up a shelter, haul out someone else’s trash, report a problem, offer what you have to someone in need — anything that helps hikers, volunteers, and the trail itself. 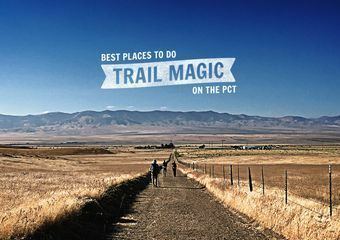 –Consider volunteering your time with an ATC trail crew or one of the 31 affiliated maintaining clubs that keep the trail open and healthy for millions of annual users, or the equivalent organization on your favorite trail. I suspect most hikers would be astonished by the amount of work it takes to build, say, a series of rock steps, or a bog bridge. 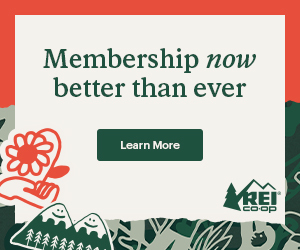 –Donate to organizations that keep your favorite trail in good condition, such as the ATC and its local clubs, Pacific Crest Trail Association, and Colorado Trail Foundation. –Be creative. Jim Tabor famously has been leaving hand-carved spoons along the trail in Pennsylvania for hikers since 2011; I ran into guy who had hoisted an iced-tea dispenser on his back, Ghostbusters-style, and served hikers on a steamy Pennsylvania ridgetop; on dry stretches of trail, nothing is more welcome than finding clean water left by an angel. Great advice from a seasoned thru-hiker, who also happens to be my husband’s second cousin. So glad to see you are writing for The Trek, Pony. I will definitely subscribe!